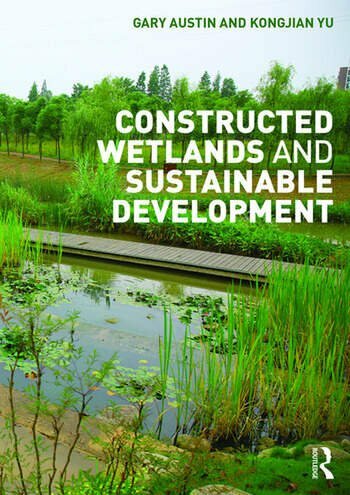 This book explains how with careful planning and design, the functions and performance of constructed wetlands can provide a huge range of benefits to humans and the environment. It documents the current designs and specifications for free water surface wetlands, horizontal and vertical subsurface flow wetlands, hybrid wetlands and bio retention basins; and explores how to plan, engineer, design and monitor these natural systems. Sections address resource management (landscape planning), technical issues (environmental engineering and botany), recreation and physical design (landscape architecture), and biological systems (ecology). Site and municipal scale strategies for flood management, storm-water treatment and green infrastructure are illustrated with case studies from the USA, Europe and China, which show how these principles have been put into practice. Gary Austin is the author of Green Infrastructure for Landscape Planning (Routledge 2014). He is a landscape architect who studied under John Lyle and taught at the California State Polytechnic University, Pomona, USA. He has practised in the public and private sectors and has taught landscape architecture at the University of Washington, USA, and the University of Idaho, USA. His teaching and research focus on community revitalization, urban biological diversity and treatment of wastewater and stormwater for water quality improvement. Kongjian Yu is co-author of the influential book The Art of Survival (2007). He is Visiting Professor of Landscape Architecture at Harvard University, USA, and the principal of Turenscape, a large landscape architecture firm in China. The many constructed and monitored wetland projects that his firm has designed appear in this book. He is also Professor and Dean at Beijing University, China.